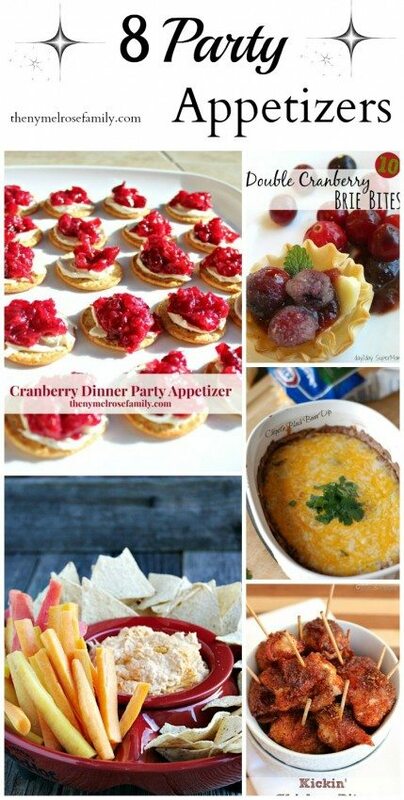 When it comes to the holidays, I am all about easy appetizers. Don’t get me wrong, the appetizers are usually my favorite part of the day, but I like things to be quick and easy. My Christmas Tree Pinwheels were a huge hit last year and they were easy because I was able to make the filling ahead of time. These egg rolls are easy largely due to the fact that they are baked and I don’t even need to turn on my oven to cook them. You’re wondering what I’m talking about right?! You might have seen on Instagram my nifty new appliance that is shining like a diamond on my countertop. Well, that appliance is my newest best friend and works like a charm for these Easy Appetizers! 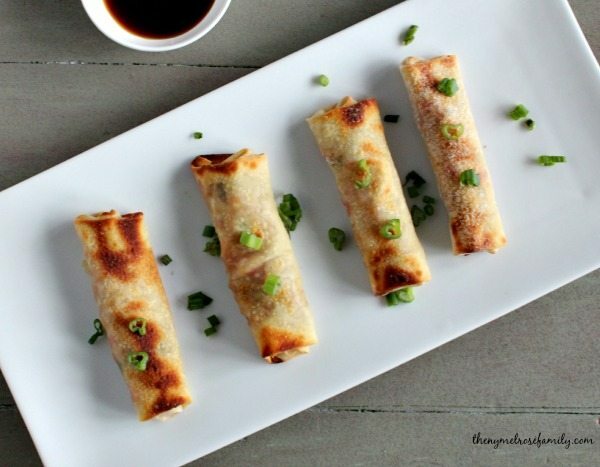 The filling for these egg rolls is vegetables and just a bit of smoked turkey. I used turkey from our Thanksgiving Roast Turkey, but you can also use smoked turkey deli meat like I did in my Turkey & Smoked Gouda with Cranberry & Apples Panini. I’m all about using what I have on hand. I certainly do not want to have to make an extra trip to the grocery store because with an eighteen month old and a five year old that is just not a fun errand to run. The filling is largely made of sauteed vegetables and just a bit of spices to give it a little Asian flavor. I love using Wonton Wrappers because they bake so easily. Plus, I’ve found that my girls love them, which can be difficult sometimes when you have picky eaters. Their favorite is my Wonton Lasagna because it’s the perfect size for them. 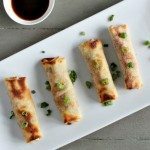 These baked egg rolls were also a perfect way to sneak some extra veggies in a fun new way and my Kitchenaid Countertop Convection Oven gave these egg rolls the perfect baked coloring. The countertop oven is the perfect size for our kitchen and I love the versatility that it gives me. Especially on busy holidays, like Christmas where the main course is taking up all of the space in our oven. Plus, there’s no preheating so everything cooks a lit faster. My girls actually call it my “daddy’s working oven” because I have a tendency to cook for the girls and I when Joe is working because it’s just more convenient. This baby doesn’t only bake either. It’s perfect for toasting up the girls Cinnamon Sticks in the morning or a panini for me at lunch. I definitely plan on whipping up these egg rolls and my Empanada Mini Pies for the games this weekend. It’s all about the “Bake”. I’m hoping you’re getting my reference to the recent parody “All about the Baste”. If you haven’t seen the recent youtube video that went viral from The Holderness Family then you definitely need to watch it. You can find it here. It’s hysterical! Could you see me doing this with my family? Joe would pass out! 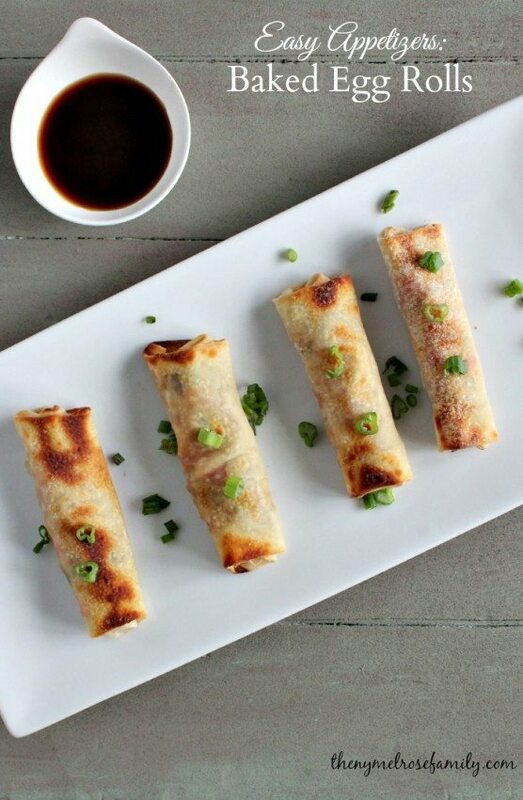 Baked Egg Rolls are the perfect quick and easy appetizers. Sautee the carrots, green onions, red peppers and garlic in a pan for about 5 minutes or until the vegetables are cooked. Their color will be brighter. Add in the cooked turkey and mix through the vegetables. Meanwhile in a bowl mix together the water and cornstarch. Add the soy sauce, canola oil and brown sugar to the mixing bowl. Add the mixture to the cooked vegetables and stir over low heat until the sauce begins to thicken. 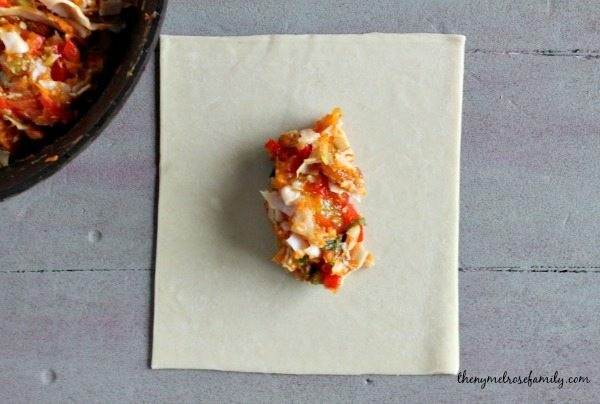 Place the mixture onto one side of an egg roll wrapper. Fold in the bottoms and roll up. 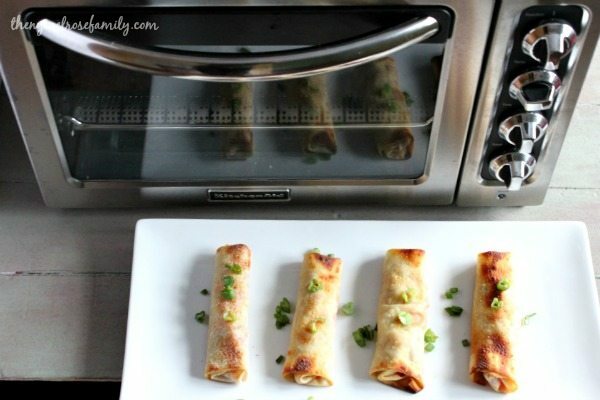 Place the egg roll seam down and bake at 425 for 15 - 20 minutes.